Tool holders and machines for heat shrink clamping have long been a specialisation of Gewefa UK and with the latest Rineck ‘RapidShrink’ machines, Gewefa has greatly extended its options available to customers. The new range of three machines comprises two re-designed dual purpose vertical bench top machines capable of shrinking both HSS and carbide cutters and a free standing top of the range machine with an automatic cooling system. The new RapidShrink vertical machines are both dual purpose HSS and carbide compatible units - the smaller VCS 5kW unit suited to cutters with up to 20Ømm shanks while the larger VCS 10kW machine can accept cutters up to 32Ømm diameter. 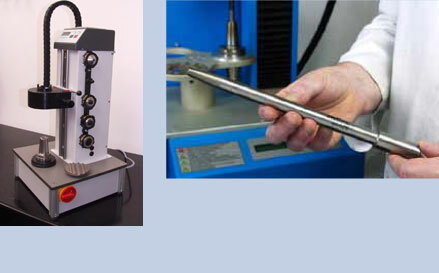 Both machines incorporate an inbuilt safety device to prevent any possibilities of overheating the tools during shrinking. The free-standing ECS unit is a 10kw unit with heavy duty induction generator and coil designed for shrink clamping carbide and HSS tools in high use environments. Gewefa shrink clamp tool holders can comfortably withstand up to 40,000 tool clamping/unclamping movements without loss of accuracy and grip. Available in all standard shanks including DIN 69893 with a range of shrink extensions also available.